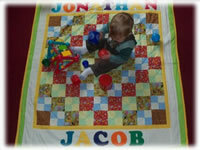 I'm Jenny, and I design and make quilts in a variety of sizes and to suit different functions, including throws, table runners, baby blankets, placemats/coasters and bookmarks. 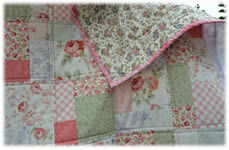 I make everything in my smoke free home studio, using the highest quality fabrics. I have also developed a line of chunky knit scarves and am hoping to add fingerless gloves soon for my hippie knits line. Ready made items are available in my Etsy Store. 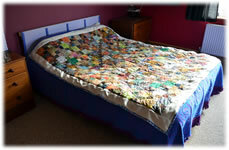 I also accept commissions to create your perfect quilt. 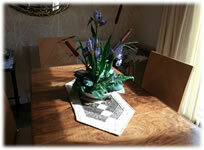 Further images of my items are available in the gallery. Can't find what you're looking for? Email me!